Glow in the dark master batch (plastic pellet) will glow in the dark automatically up to 20 hours when it is exposed to any light such as sunlight, lamp light, fluorescent light for 10 - 15 minutes. 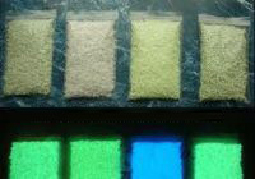 The master batch contains a high concentration of photoluminescent pigment and can be used to produce glow plastic items by molding and extruding. 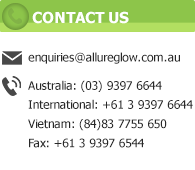 Colours: Standard glow color is yellow green with high glow grade, other glow colors are also available according to the requirement of customers. Blending: 1: 1 50% glow plastic pellet mix into 50% common plastic pellet.